Are you coming to A Gutsy Affair? This is going to be my 2nd year attending "A Gutsy Affair" event in Toronto this Thursday. 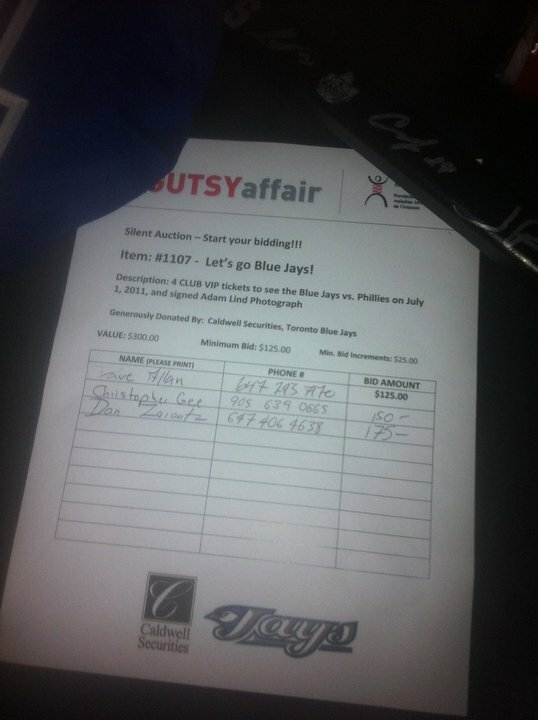 A Gutsy Affair is an event in support of Crohn's and Colitis Foundation of Canada. I found out about this event via Twitter last year and the organizers have reached out to me to help spread the word in hopes of bringing more awareness and also an understanding of this disease. Last year I was surprised to see how many Twitter friends are affected by Crohn's disease. This year again I would like to bring awareness and help people understand it a little bit more. I would like you tweet me at @clickflickca and tell me something you know about Crohn's Disease. Add #AgutsyAffair to the tweet and you will be eligible to win a pair of tickets to the event. It should be a great evening of dancing, silent auction, swag bags and tons of prizes including various trips around the world. To purchase tickets AGUTSYAFFAIR $50 in advance and $60 at the door. I will select a random winner tomorrow afternoon. So tell me some facts or anything you know about Crohn's Disease and add #AGutsyAffair to the tweet. Good Luck! 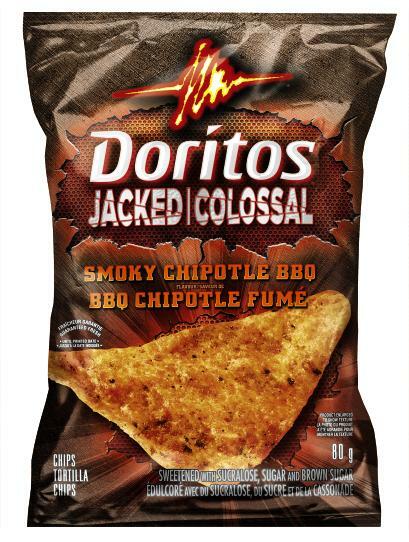 Doritos Jacked Chips. Bigger, Thicker and Bolder. UPDATE: I was able to try the new flavour Smoky Chipotle BBQ. It is definitely BIGGER, THICKER and BOLDER. Wow! Action in the mouth. Thanks to Doritos, I'll be able to giveaway a prize package to one of my Twitter followers. 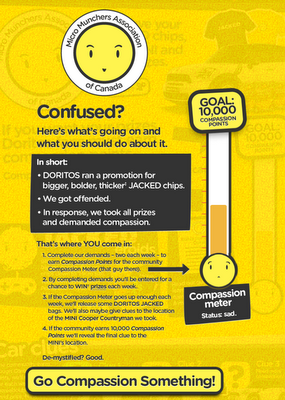 Just let me know why I should pick you to have the Doritos prize pack? Prize packs consist of numerous t-shirts and bags of Doritos. So let me know. Tag it with #Doritos and i'll pick a winner Monday April 23, 2012. Last week Doritos launched a campaign for a new JACKED flavour. This new chip is said to be bigger, thicker and bolder. Now I have not tried this chip yet because it is only available in limited quantities and being released randomly. You can however have a chance to win some great prizes from Doritos by checking their Facebook page JACKED Earn Compassion points to win. Details are on the site. For a limited time if you try the various games on their website and gain enough points you would be eligible for clues and unlock to win prize packs and a MINI Cooper Countryman car. 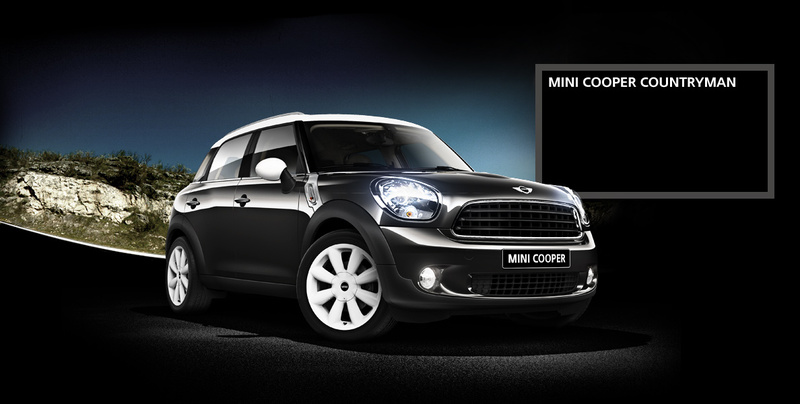 Yes, Doritos is giving away a car! Are you coming to DefineTO ? I've been to this event in previous years and have always enjoyed the events. It has been an opportunity for me to really meet new friends that I actually socialize with via social channels. It's great to put a face to the person behind the avatars. It makes the event better knowing that money raised goes to a good cause too. On that note, I know the organizers have many cool things planned for that evening this coming Thursday. Numerous sponsors and surprises are planned for the evening so it looks to be a great evening of fun! On that note, I'll be giving away a pair of tickets for the event courtesy of the organizers. I encourage you to come out and have fun! Details of this event and the organizers can be found on this link DefineTO.
" @clickflickca I want to have fun and help support @TheRemixProject #DefineTO "
Winner will be chosen on Wednesday evening. Good luck and hope to see you all this Thursday! Give yourself a break! Have a Kit Kat. Do you ever feel stressed? Do you wish for more time in the day? Do ever feel that you are rushing to complete a task but always worry if it's been completed or done properly? These are questions I'm sure we've all experienced in our own lives in different ways. Did you know Tuesday morning is the most stressful day of the week? Usually when you go into work on Monday you organize everything for the remainder of the week. Tuesday is the 1st day you actually get anything accomplished in most cases. This month of April is National Stress Awareness Month. 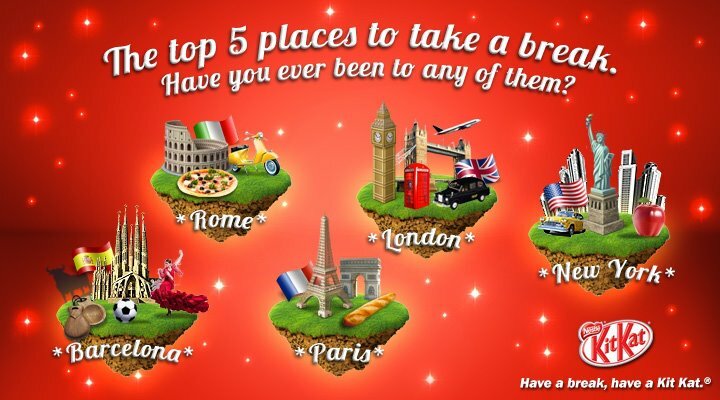 I want to "Thank" Nestle Kit Kat for noticing that I need to take a break. I have a busy schedule juggling work, life, friends and family. Kit Kat has provided me with a Kit full of items to help me relax and take it easy. The Kit has chocolates, tea, fragrance oil, writing pad, stress ball and much more. This post is more about awareness to just take it easy! Sit back and enjoy the finer or simpler things in life. Sometimes we get so worked up to get things done that we never actually enjoyed the experience itself.